Non contact measurement : moving parts, hot or soft, can be easily gauged, in such conditions that would be off-limits for any other instrument. Wide measuring range : parts of different size can be measured, without any pre-setting. Insensitive to product speed and vibrat ion: the measurement can be performed on-line, during the manufacturing process. Absolute measuring concept : no “zeroing” is required when the part diameter is changed. High gauging speed and reduced beam spot size : it detects details that would escape a contact probe or an air ring, even on moving parts. On-Line application for 100% checking : “zero defect” manufacturing and proved Quality. Ideal sensors for the automatic process regulation : savings in raw material and manpower. Easy and quick gauging : reduced cost for off-line sample checks. Accurate and reproducible results , regardless of the operator's experience. Permanent self-calibration : the measuring accuracy is guaranteed over time and periodical remastering is no longer required. Outstanding single scan repeatabilty : ± 1 μm, thanks to the internal data processing capability. Excellent resistance to dust and dirt : skilled optical design and innovative edge detection technique allow to discriminate the part shadow from the dirt on the optical flats. Thermal stability : the highly stable construction and the thermal drift self-compensation allow accurate on-line measurement in workshop environment. Fully re-programmable : the software in the gauge can be re-loaded to incorporate new performance or future releases. Fully digital, non-analog interface : no loss in accuracy due to transmission line, electric noise or A/D conversion errors. Use standard serial line : no dedicated or custom interface board inside the PC. Ready for networking : through the Ethernet or the RS485 line, several sensors can be linked to a host computer. Internal temperature check : a sensor measures the internal temperature and shuts the gauge down when the operating temperature exceeds the allowed limit. Fully compatible with ALS type gauges , to be used with Aeroel CE-10 or IBU-10 electronic Units. Industrial design : rugged and sealed construction (IP65) for industrial environment. Easy self-check : a multicolor LED with coded flashing sequences immediately identifyes possible malfunction conditions. Low voltage power supply : 24 VDC single ended, reduced power supply. 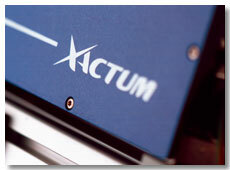 Low power Laser emission : Class II laser equipment, conforming to USA and EU standards. High immunity to EMI : conforming to the high EU standards (CE). Made in Europe : the XLS series Gauges comply with the high Quality and Safety Standards set by the European Union. 3 year warranty : the solid state laser diode guarantees reliability and very long operational life.